Bikers from the Bristol and Avon area are welcome to join the Bristol and Avon Roadrunners MCC, no matter who you are and what you can ride – and you can even join if you’re a pillion! 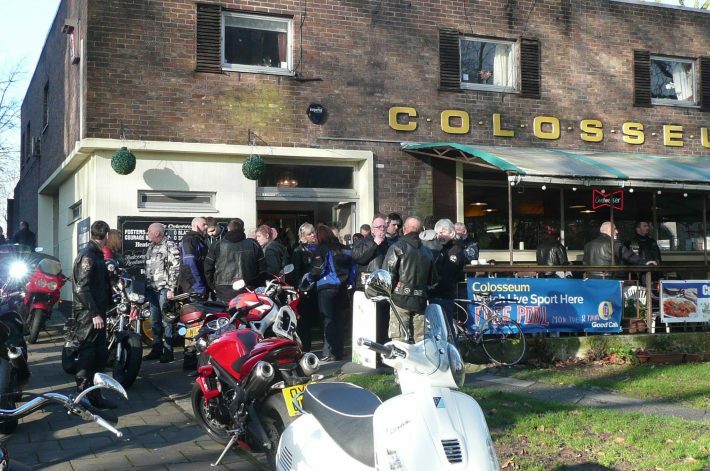 The club aim to plan one ‘big’ ride out once a month, usually on a weekend so as many members can attend as possible. The destination is decided and planned during the weekly club meetings, just make sure you turn up with a full tank of fuel before departing! Regular runs will be posted on the events page on the website and with post run write ups too. Keep up-to-date with what the Bristol and Avon Roadrunners are doing on their Facebook page, it’s updated regularly. The club meeting usually takes place on a Wednesday evening from 8.30pm at the Colosseum, Redcliffe Hill. All are welcome to come along for a chat, and to find out more.